USA Basketball announced Thursday 54 high school basketball players that have been invited to its October minicamp. The camp will be Oct. 7-8 in Colorado spring and feature 18 seniors who will be eligible to play in the Nike Hoop Summit. The remaining 36 players will be eligible for the 2018 USA Basketball Men’s U17 World Cup Team. Below are the 54 players and their schools. 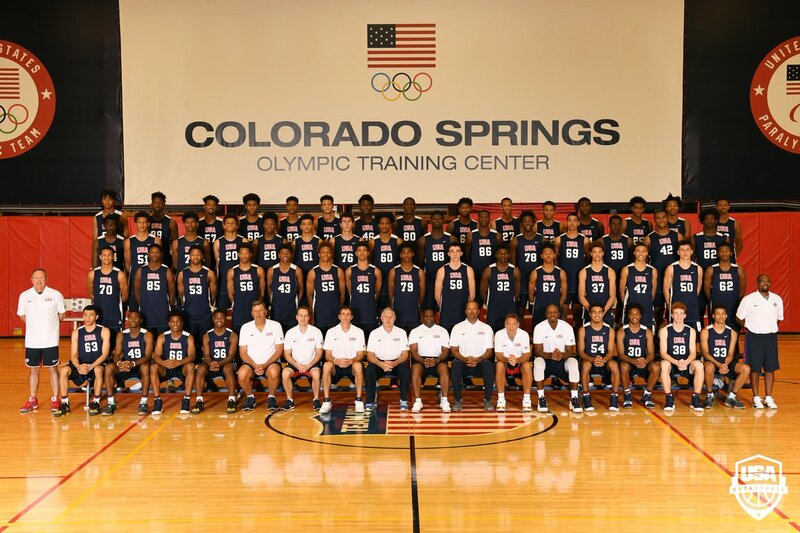 COLORADO SPRINGS, Colo. -- The 2018 USA Basketball Fall Developmental Camp got off to a fast start on Saturday morning. National Basketball Analyst Eric Bossi has his takeaways from the first session of action. ICYMI: Sunday's early minicamp session from Colorado Springs will be streamed across USA Basketball platforms beginning at 11:45 AM (EDT). 2017 USA Men's Junior National Team October Minicamp group shot. #USABasketball 1-on-1: @KP_Rivals chats with 5-star Darius Garland about #Vandy, #BBN, #UCLA & #Hoosiers.